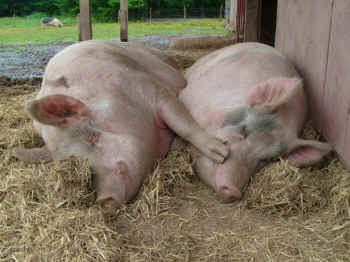 Farm animal sanctuaries are vital to the animal rights movement. Following are three reasons why [images are from Woodstock Animal Sanctuary]. 1. Sanctuaries give life to to thousands of chickens, cows, pigs, horses and other farm animals who knew nothing but neglect, deprivation, abuse, mutilation and confinement. 2. Farm sanctuaries enable people who eat and wear animals to bond with them, which can – and does -influence many to leave animals off their plates and out of their closets. 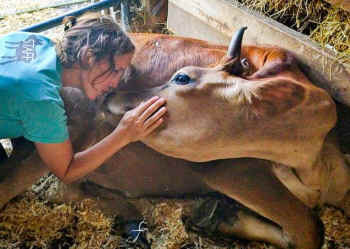 Jenny Brown and Doug Abel, the co-founders of Woodstock Farm Animal Sanctuary in upstate New York, have shared the stories of many of the animals to whom given refuge. 3. Farm sanctuaries serve as a “recharging station” for activists who work to protect them through vegan outreach, protests, lobbying and other forms of advocacy. 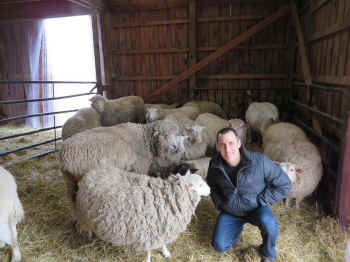 Please learn more about the life-saving work of Woodstock Farm Animal Sanctuary and consider making a contribution.